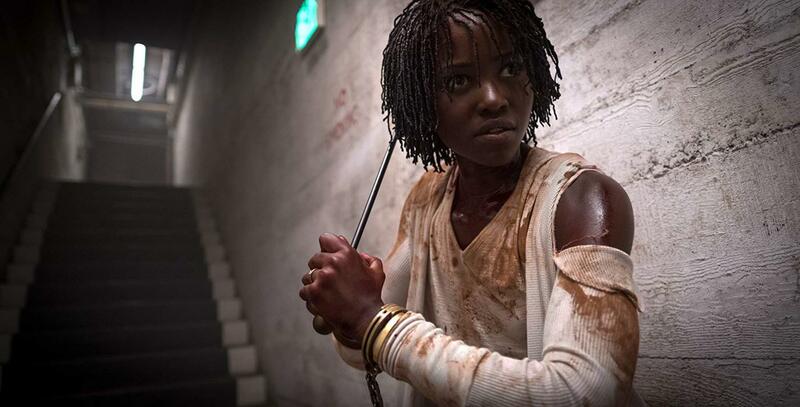 Although it’s not a perfect horror film, Jordan Peele’s “Us” is an outstanding film layered with social commentary and symbolism. Adelaide Wilson (Lupita Nyong’o) and her husband, Gabe (Winston Duke), spend their family vacation at a summer home, Adelaide’s childhood home, near Santa Cruz, California. Traumatized from a past experience during her childhood at the Santa Cruz Beach Boardwalk, Adelaide grows anxious during their trip, fearing something terrible will happen to her and her family. Her fears become reality when four strangers, each taking the appearance of one of the members of the family, infiltrate the Wilson household and threaten their lives. The horror genre, both in film and literature, has always been used as a tool to express and represent societal fears that reflect the social climate of the story’s setting. In Yeon Sang-ho’s “Train to Busan,” we see symbolism of class division and discrimination in South Korean society, while in Peele’s directorial debut, “Get Out,” we see elements of racial oppression and marginalization of African-Americans. Though horror doesn’t have to exist for the sake of delivering social commentary, Peele has demonstrated once again that he is a master of his craft in delivering horror films that are insightful while being horrifying. In “Us,” thematic elements in the narrative reflect class division and poverty in the United States. Although I will dive into those themes in more detail later in the review, I will say that Peele, using visual imagery and symbolism, was able to capture these societal concerns in almost the same vain as “Get Out.” Also, the use of the doppelgänger is a nice homage to the German expressionism film movement, and for that I applaud this film. Nyong’o delivers one of her best performances since her Academy Award-winning performance in “12 Years a Slave.” Playing as both Adelaide and Adelaide’s doppelgänger, Red, Nyong’o has shown, just in this film alone, that she possesses an immense amount of range that very few actors of her caliber can carry. Her delivery of lines, her facial expressions and overall physical demeanor brought tension, fear and suspense in every scene that she was in, adding to the dreadful mood and atmosphere that “Us” successfully captured. On a technical level, this film was a masterpiece. Everything from the cinematography and lighting to the blocking of the actors established the eerie mood that resided throughout the duration of the film. It was also evident that time, patience and effort was put into the editing of “Us” as at no point in the film did the narrative feel like it was rushing or dragging. I cannot discuss and review a Jordan Peele film without analyzing any themes or pieces of symbolism that were presented in the film. Although it is impossible for me to explore every theme in “Us,” and this film requires multiple viewings to capture a lot of details, I want to discuss what I believe is the overall message of the film. I believe “Us” is a critique of social and class division in the United States. The tethered people represent poverty. They’re a marginalized society that has been abandoned, and they (literally and metaphorically) live beneath everyone else in horrid conditions. To get into the tunnels where the tethered people live, one has to take an elevator. However, there is only one elevator and the only direction it goes is down. The elevator symbolizes capitalism; it’s hard to climb up, but it’s easy to fall down. The fact that, when asked by Adelaide who they are, Red says, in a raspy voice, “We’re Americans” all the more reinforces the theme of poverty. I believe this theme adds to the dreadfulness of the film because it’s reflective of a lot of real-world horrors that many people in the United States feel today. With corporations and wealthy CEO’s receiving massive tax breaks, creating a gap in the overall distribution of wealth in the United States, there are many people that are suffering from that lack of distribution and are struggling just to make ends meet and survive. Therefore, I appreciate what “Us” is doing in delivering this message of poverty into mainstream cinema. The only flaws I have with this film are with some of the dialogue and Winston Duke’s character, Gabe. Almost every scene in the first half of the film is undermined by a cheap joke or one-liner. At times the jokes were pretty clever, but after a while they became stale. On top of that, Duke’s character, Gabe, was very one-dimensional and only served as the obvious comic relief. Though this film carries some flaws, they are minor in comparison to everything else that “Us” has to offer. Jordan Peele is a force to reckon with in American cinema and I look forward to seeing his film career continue to prosper. Angel Ortega can be reached at [email protected] and @AngelOrtegaNews on Twitter.